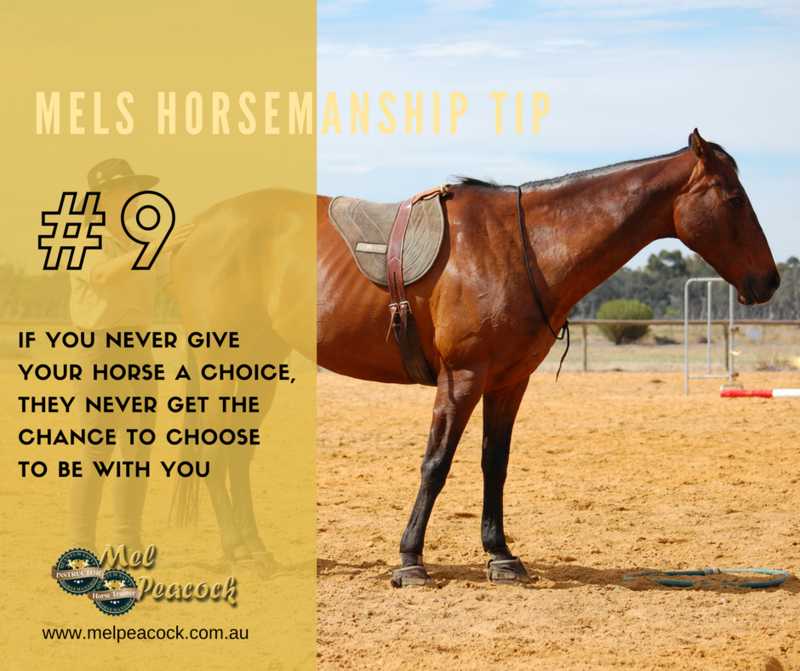 If you never give your horse a choice, they never get the chance to choose to be with you. A horse going freely forward is just as important as a horse that easily stops. 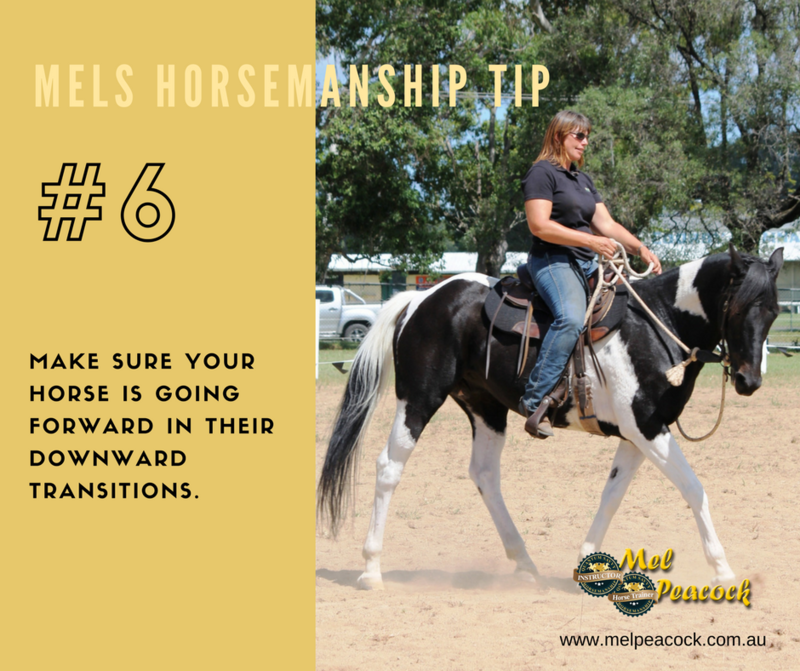 Make sure your horse is thinking about going forward rather than stopping after each downward transition to help your horse keep his weight back and give you those nice smooth transitions. Our horses can be very good at re-positioning us. 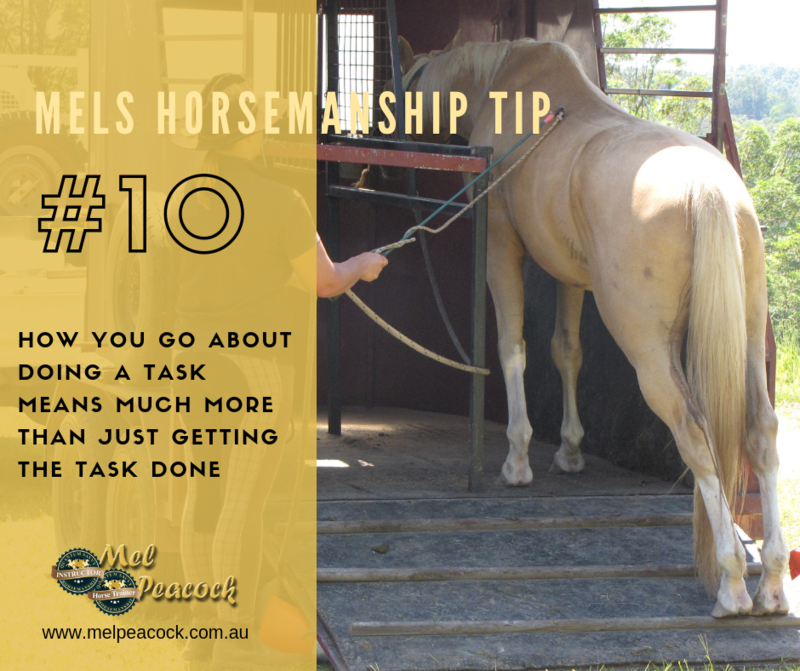 Try using a marker on the ground when handling your horse to help you keep track of where you are and see who is moving who. 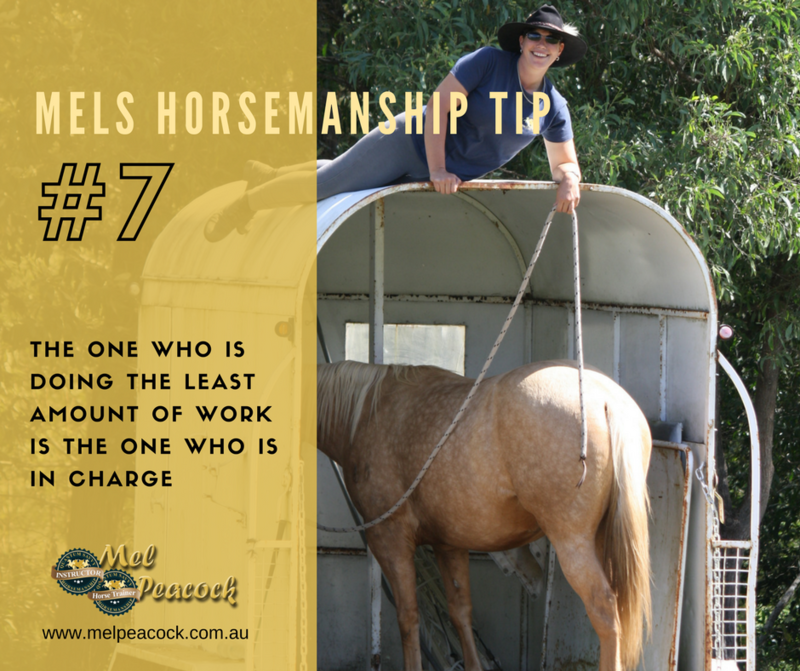 Never accept your horse walking off whilst you are mounting or dismounting. Wait for him to stand still and give you permission first. Your horse will always know where the way out is and will be drawn to the gateways. Avoid saddling, feeding or resting in or near gateways so that your horse doesn’t find more comfort than they need there. The way you leave your horse in the paddock will be the way he remembers you when you go to catch him the next day. 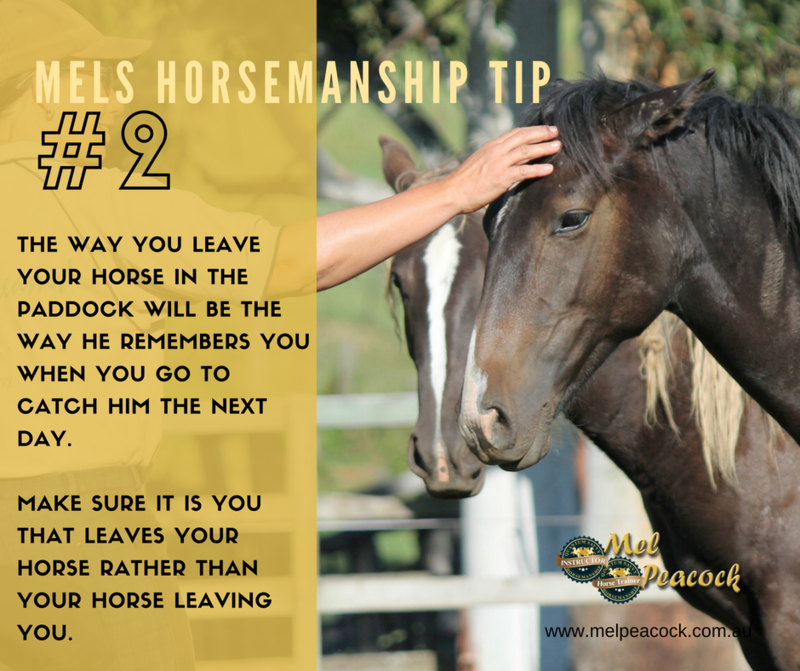 Make sure it is you that leaves your horse rather than your horse leaving you. If you want your horse to respect your fences (and avoid injury or escapes!) make sure you keep your feed in the middle of your paddock or yard – or away from the fence. 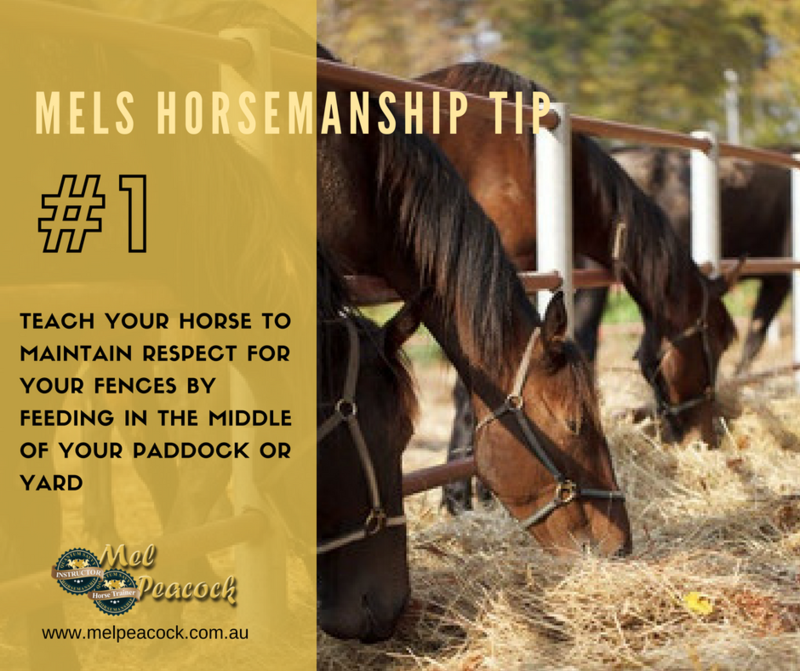 Feeding your horse on the fence runs the risk of your horse learning to disrespect and lean on it.